Edit design Kids blanket penguins , or create your design from scratch. Knit blanket in kids size, made from 100% organic cotton (GOTS). 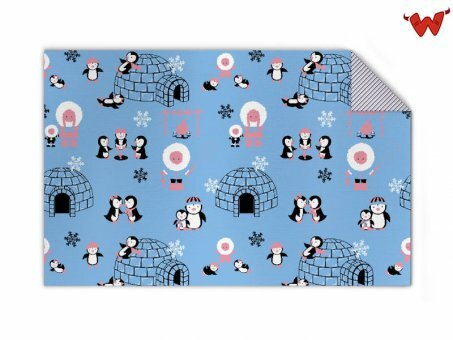 Customize this beautiful eskimo and penguin design with your name, text, cliparts. No print or embroidery, design is knitted in the blanket / plaid. Kids blanket penguins made to order with your custom design, text, logo. No minimums.